The Republic of Niger belongs to the Sahel region and about 80 % of its land is covered by the Sahara Desert. 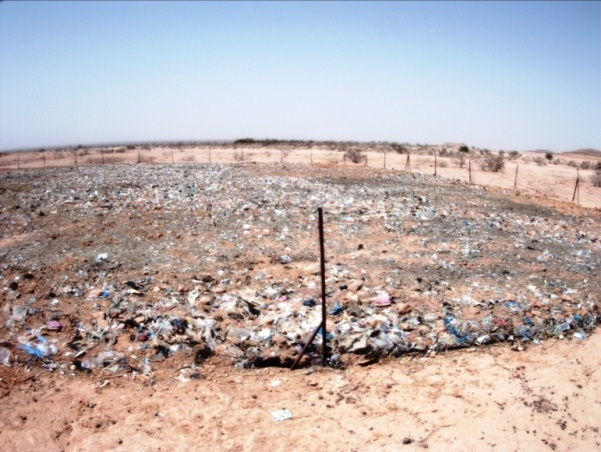 Near Niamey, the capital city of Niger, a Japanese researcher spread more than 2,000 tons of urban wastes including food scraps, papers, plastic bags, flip-flops and other various household wastes over barren land. Why did he do such a thing? 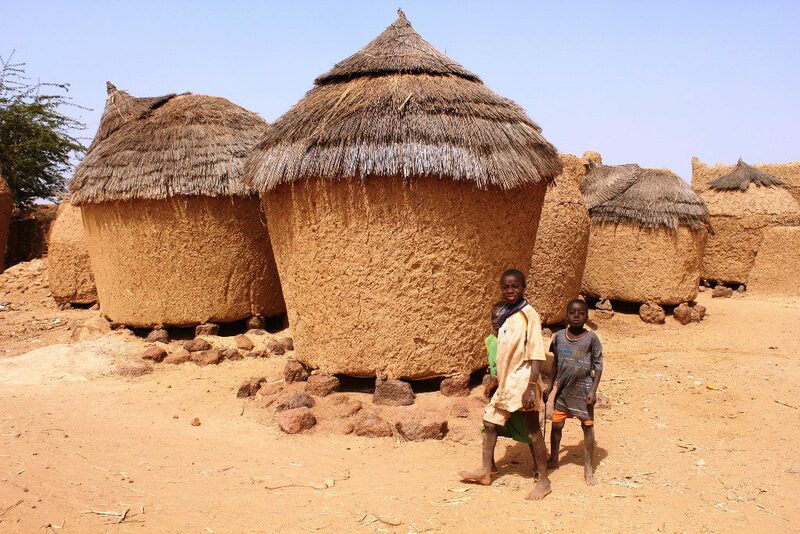 Dr. Shuichi OYAMA, an Associate Professor in the Centre for African Area Studies, Kyoto University, came up with the idea of reducing land degradation through the use of urban waste, after many years of research experience in Niger. The pilot project to prove the effect of urban wastes on greening a degraded land started in 2015. The background and contribution of this project can be found in the first article. Now we are going to provide you more detailed information regarding Dr. Oyama’s land rehabilitation method. How does the project site covered with wastes change? 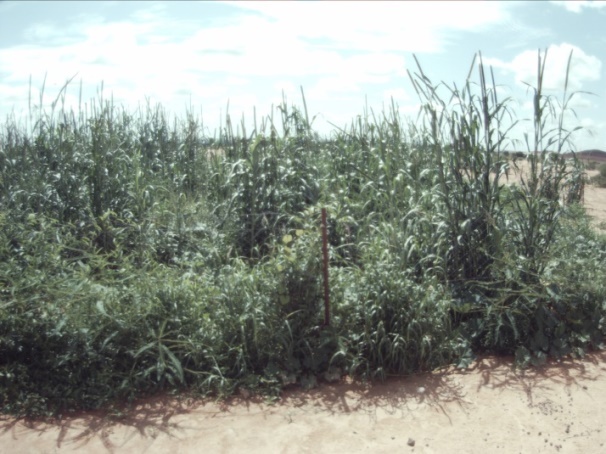 We can see the pearl millet, an important staple food in the Sahel region. The trees are growing steadily and we pollard the branches. The intention of the site users is important in choosing the composition of forest and grassland. Dr. Oyama recorded the progress of the project site by taking interval photos every one hour during daytime after dumping the wastes. The size of the fenced site was 2500 (50m x 50m) m2 and 252 tons of wastes were spread over it in February 2012. Once the rainy season arrived, pearl millet, the popular food grain in Niger, grew up in the site. Leguminous plants started growing in the second year, and trees came up in the following year. By 2017, the trees had grown tall and expansion of grasses was suppressed under the shade created by those tall trees. Instead, the urban wastes contain high levels of valuable nutrients such as nitrogen, phosphorus, and potassium which are the three major elements for plants growth. Iron, zinc, copper, calcium, manganese and other minerals were also contained in the urban waste and these minerals are also essential for the life of livestock and people. 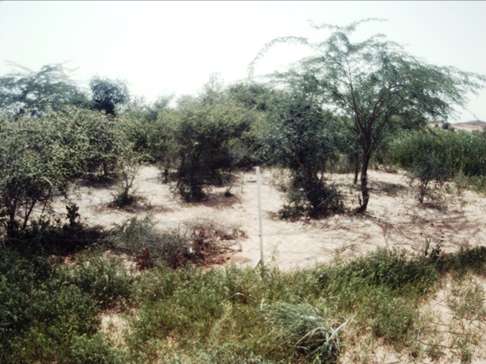 Thanks to those nutrients, the ideal environment for plants is created in a barren land. 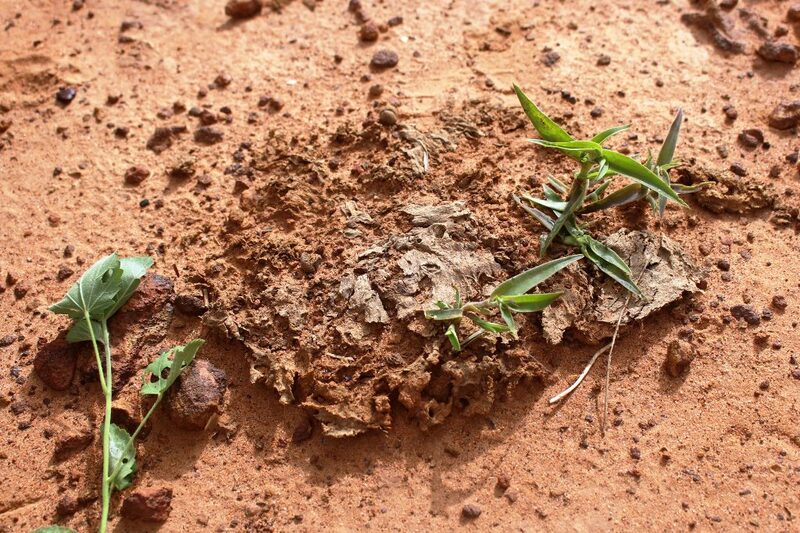 The urban wastes of Niger contain various organic matters such as cow dung, left-overs of livestock food, cobs and culms of pearl millet which are thrown away after threshing, groundnut hulls and so on. All of these become food for termites. According to the arid studies, the underground is controlled by termites while humans control the aboveground. 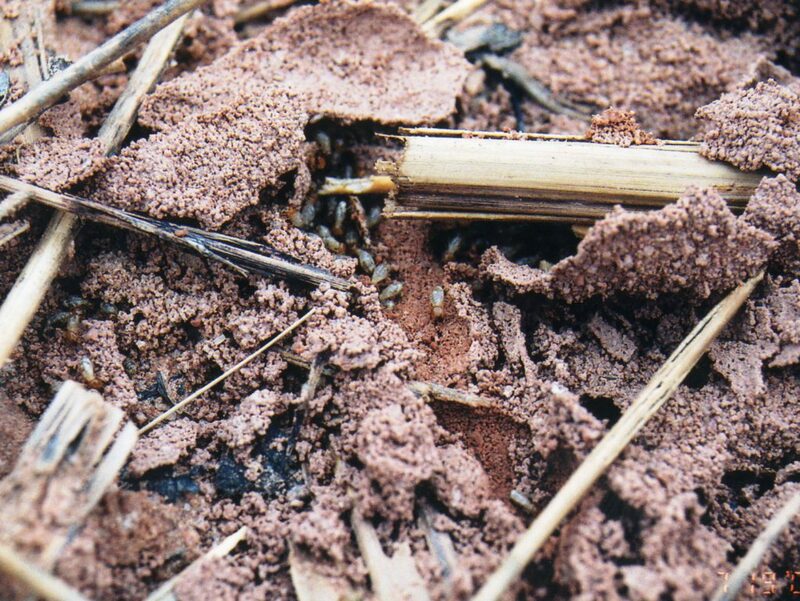 When rainy season comes, male and female termites fly from their colonies and arrive at the dumped wastes. They bore numerous tunnels underground and build their shelter around the organic matters with sand grains cemented together by their saliva. Their work creates an aggregated soil structure which leads to easier penetration of water and provides a suitable environment for plants. Even termites cannot live in a barren land with no plant residues and nutrients, but once we put organic matter on the land, the biological process of termites works effectively and a barren land becomes a green land. 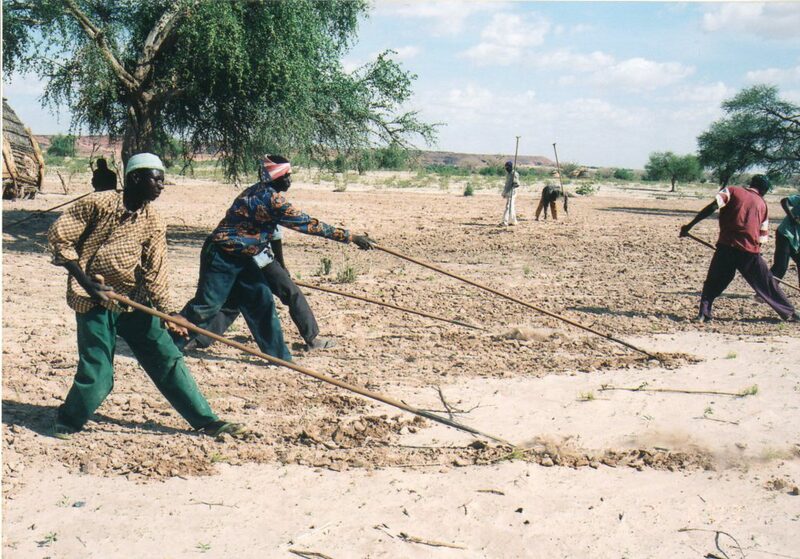 Although this seems to be an innovative idea for us, this is a traditional soil enrichment method from the Hausa farmers. They put their homestead wastes on the degraded farmland to improve its productivity. Those wastes are called “taki” in Hausa language which can be translated “manure” in English. Most of the manure consists of organic wastes but it also includes some other wastes which are not easily decomposed such as worn-out clothes, old flip-flops, and even cooking pots. Different from rural wastes, urban wastes contains lots of plastic bags. A small amount of plastic bags can help activities of termites and hence have a positive effect on greening. However, when the amount of plastics is huge, it becomes hard to be decomposed. Project sites were protected by iron fences to prevent livestock intrusion. 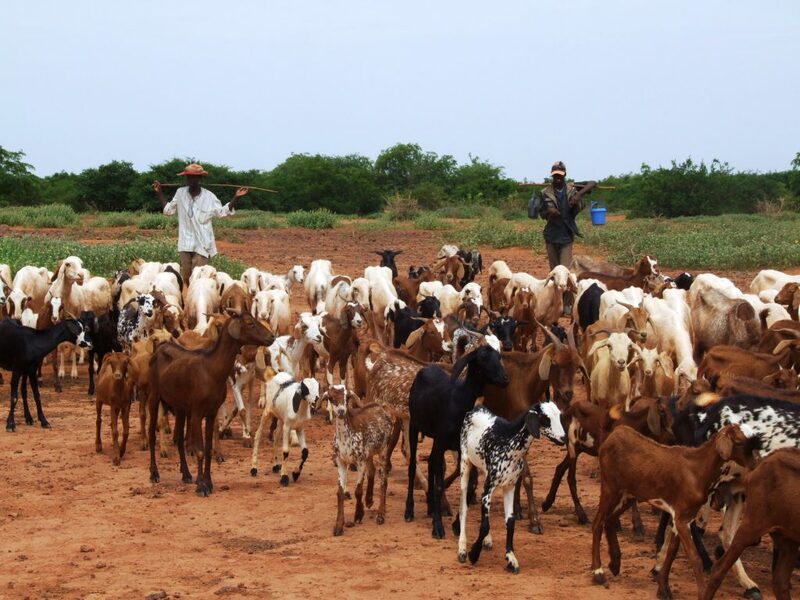 However, as controlled livestock can provide benefit, there is a herder assigned as a person in charge of the site and he/she is allowed to put his own livestock inside of the fence. This can contribute to mitigate the conflicts among farmers and herders because crop damage is prevented. An important rule to successful greening is, “To keep livestock inside of the fence for at least 2 weeks and let them drop their manure in the soil after they eat up the fodder.” Plants grow up with nutrients from wastes and livestock grow by eating those plants. If they just eat the plants and do not defecate in the sites, the soil nutrients will be taken away from the sites. 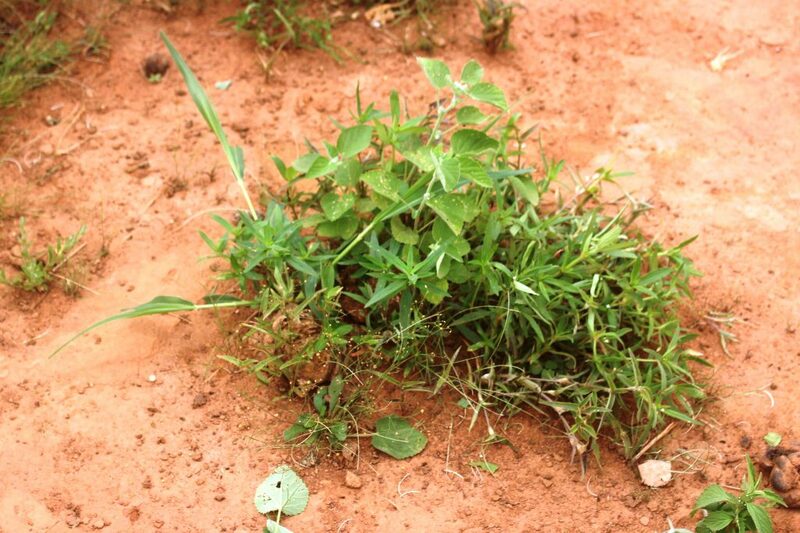 In addition, Livestock manure contains not only nutrients but also various types of useful plants seeds. Those seeds germinate and create a rich ecosystem which provides benefits for both humans and livestock. 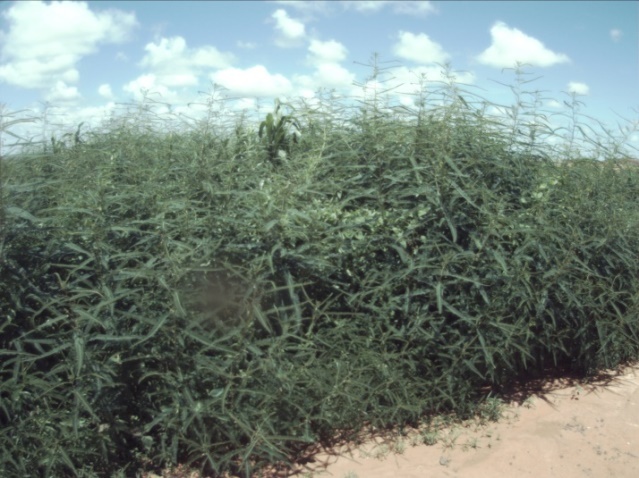 When the herder did not follow through on his promise, the fenced grounds were covered with the grass of Sida cordifolia, which is regarded as an indicator of over-grazing. As a conclusion, waste dumping is an important trigger for creating useful green land. By adding animal manure on the sites, trees germinated from the livestock dung and grow up steadily for providing good resources for the lives of humans and livestock.